Older tools and techniques interest me, though they are at times slower than some of todays mechanical means, but not all. 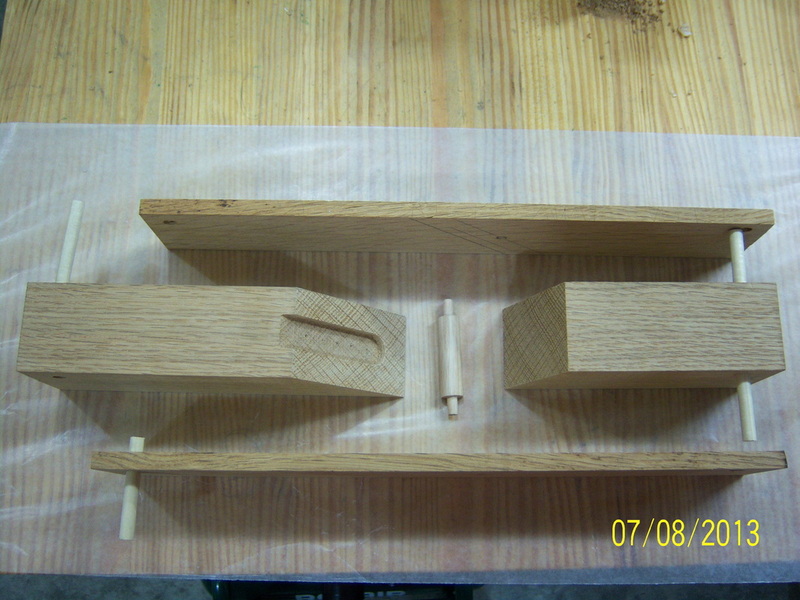 I have always wanted to make my own wooden plane. 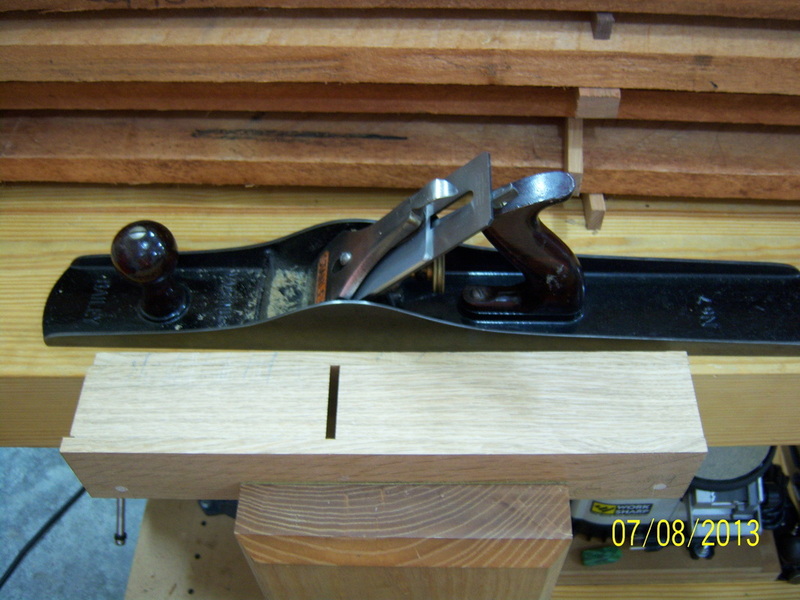 So, I bought a Ron Hock brand plane iron and decided to give building my own plane a try. This particular style of plane was made famous by Russian born gentlemen by the name of James Krenov (1920-2009). Though he did not invent the laminated wooden plane, his books and approach to woodworking made them famous. 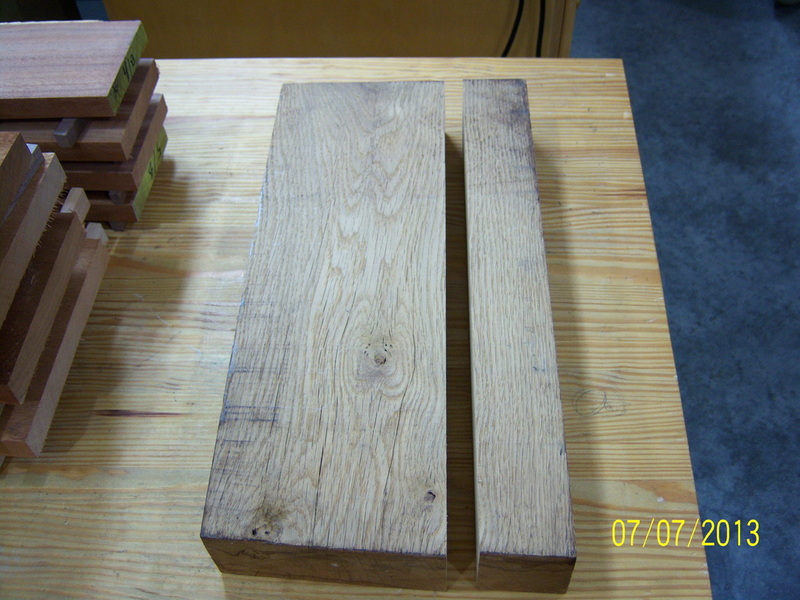 I had two different, thick boards on hand - the left is a piece of oak, the right piece is ash. From what I have read, vertically arranged grain is the best to alleviate future wood movement issues with diagonally arranged grain being second. The blade is 2" wide. 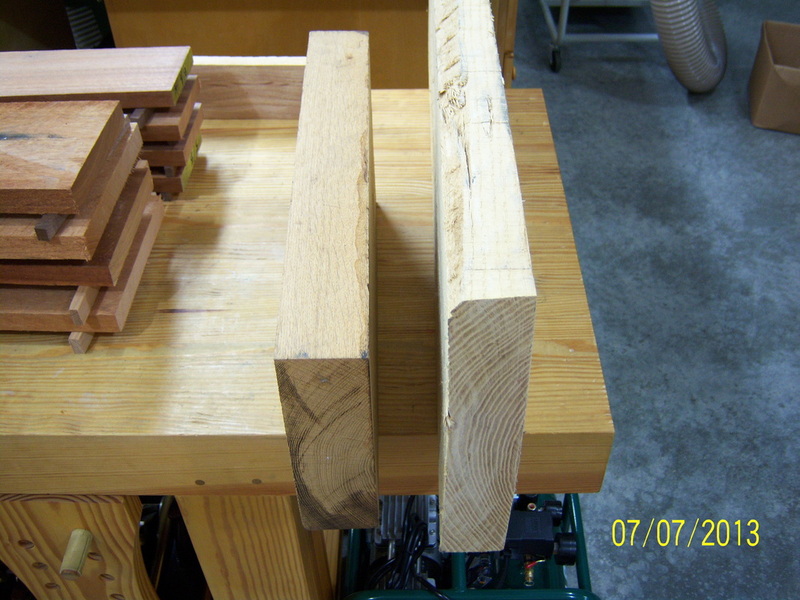 The piece of oak is just a bit wider than 2", while the piece of ash was slightly thinner. The plane could have very well been made with two or more pieces laminated together, but I wanted to use what I had available. More on the blade - the Ron Hock blades are made of high carbon steel and are 3/16"thick. This particular blade has a chip breaker, which might very well be unnecessary. 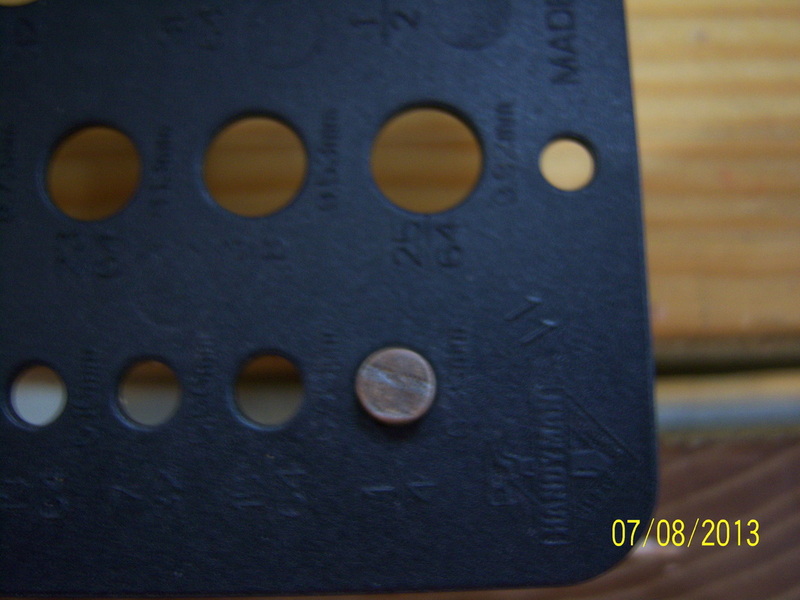 Also, the blade can be purchased in either 3 1/2" or 4 1/2" length. This particular blade is 4 1/2" in length. The slab of oak came from my uncle's home after he passed away. It was already flat and nearly square on the edges. 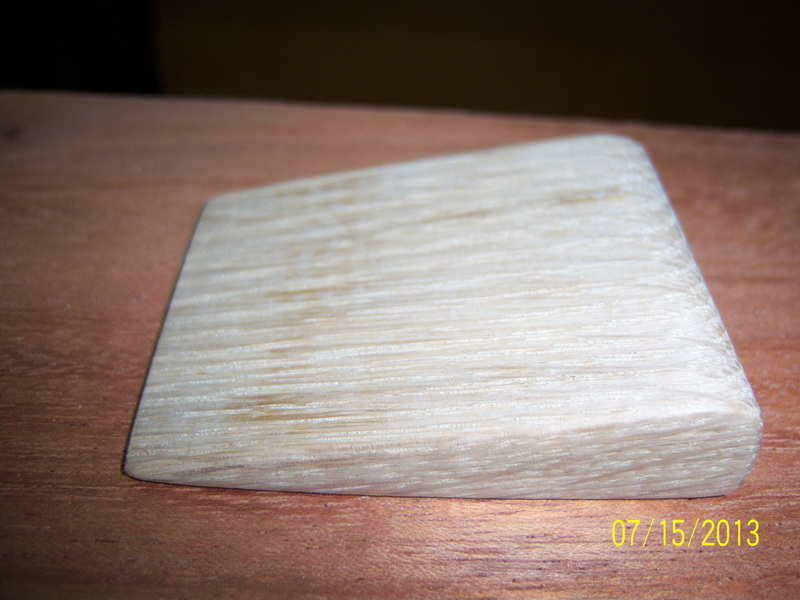 Using the band saw, I cut off roughly a 2 1/2" x 2 1/2" block. 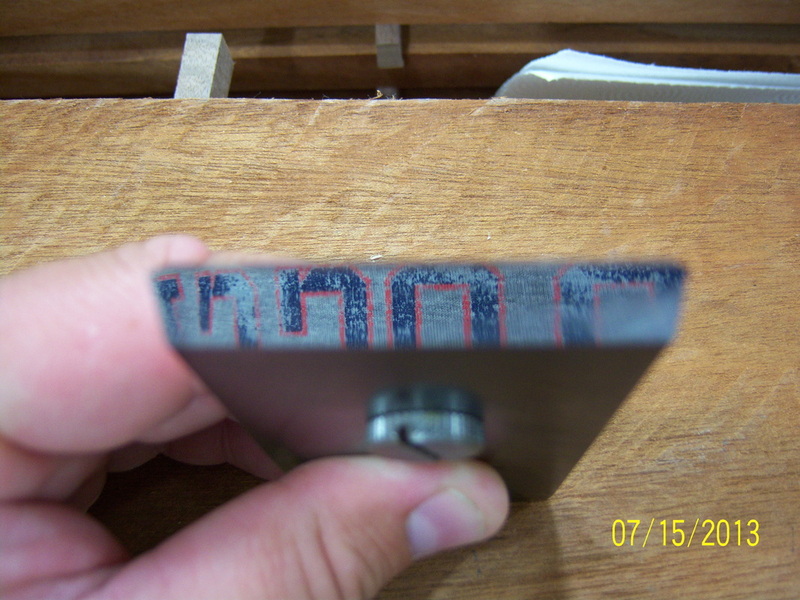 Using a powered jointer, I touched up the sides of the block to make sure every side was square to the next. 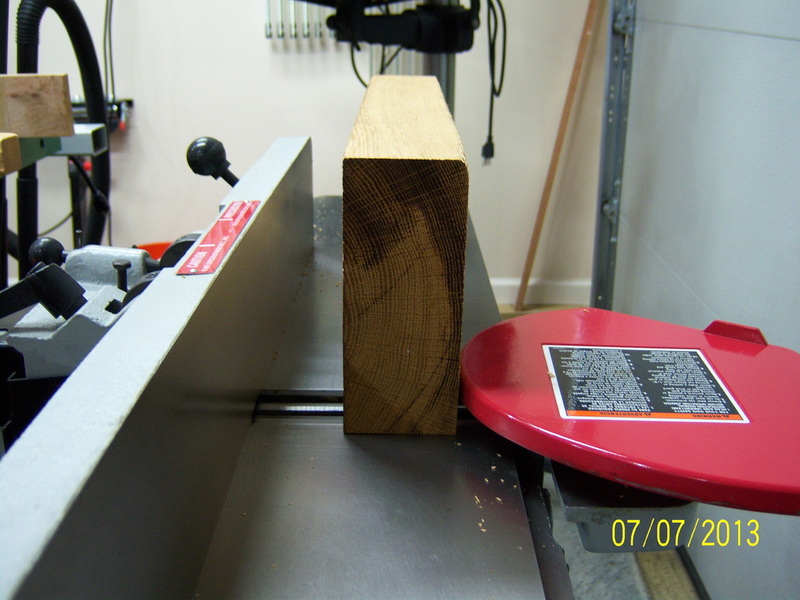 After the block was cut off from the slab, I passed the slab back over the jointer to make sure the edge was again flat. 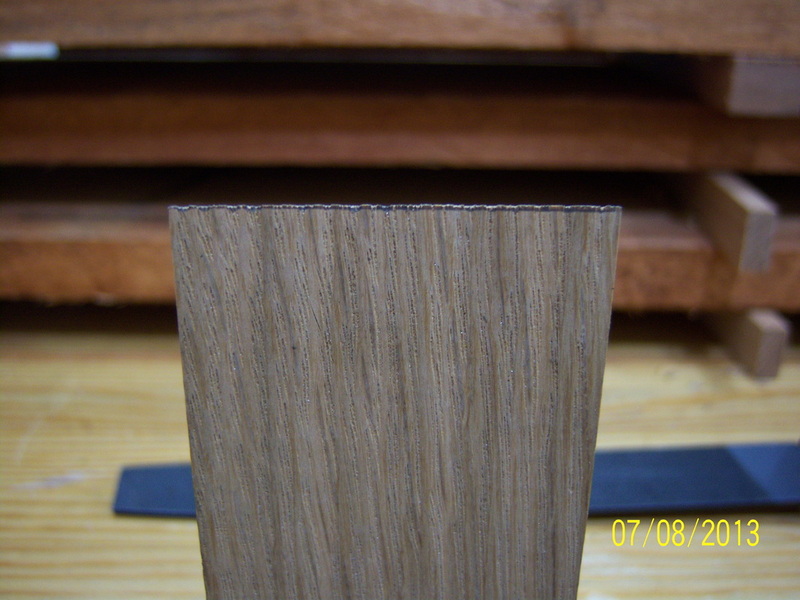 Using the band saw, I cut a thin strip off of the edge to make one of the two side pieces for the plane. 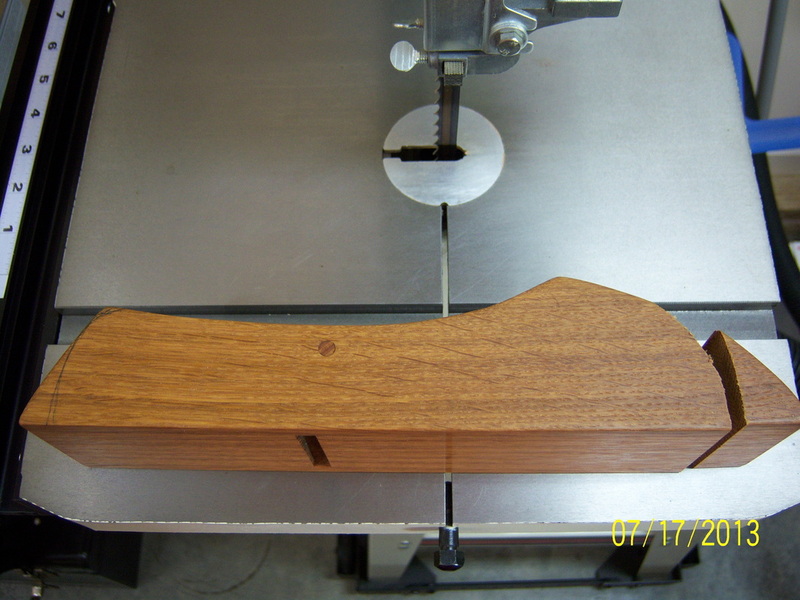 The process of flattening the face and returning to the band saw was repeated for the left side of the plane as well. 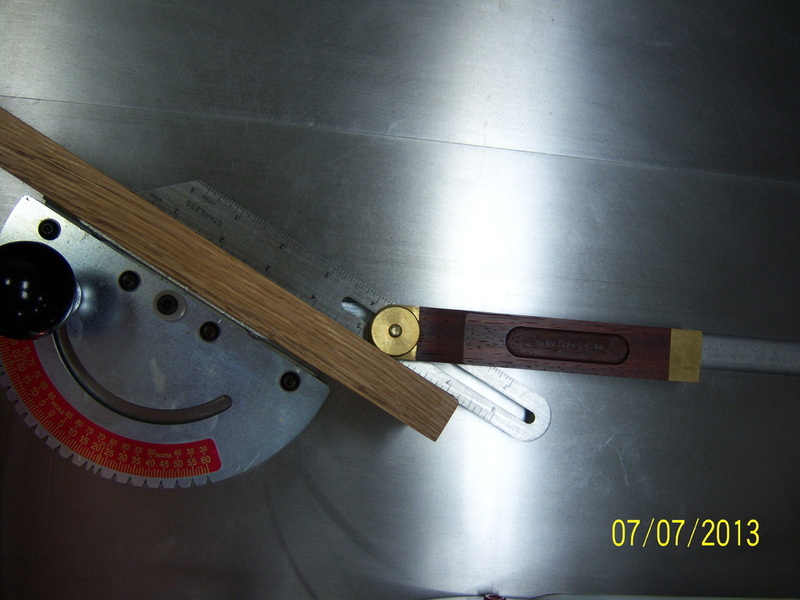 Using the miter gauge on my table saw, I set the bevel gauge to 45-degrees and then 25-degrees in order to cut both angles of the mouth/throat. The blade will rest against the 45-degree angle, while the 65-degree opening will allow for some finger room to clear shavings. 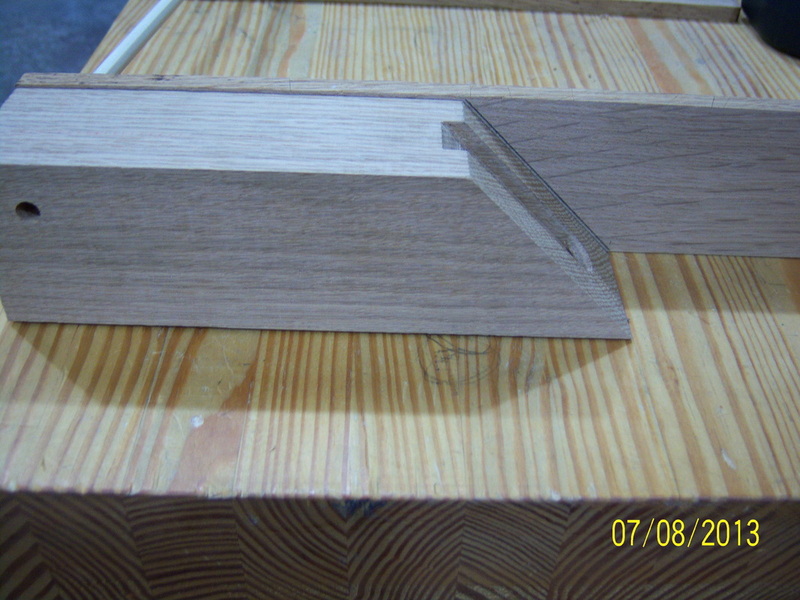 Using a miter gauge for assistance, I cut both angles for the mouth/throat on the block. 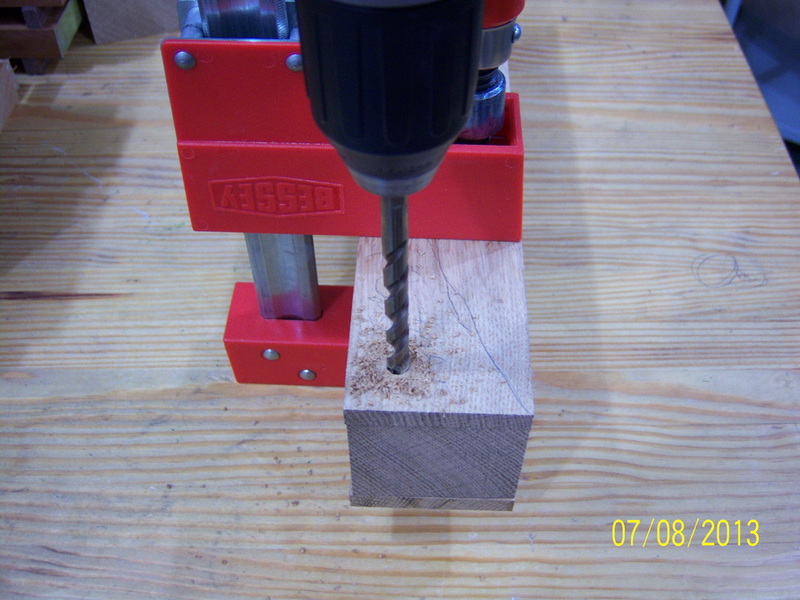 Using a 3/8" forstner drill bit, I drill out a recessed area on the 45-degree angle in order to provide room for the screw that holds the chip breaker to the blade. 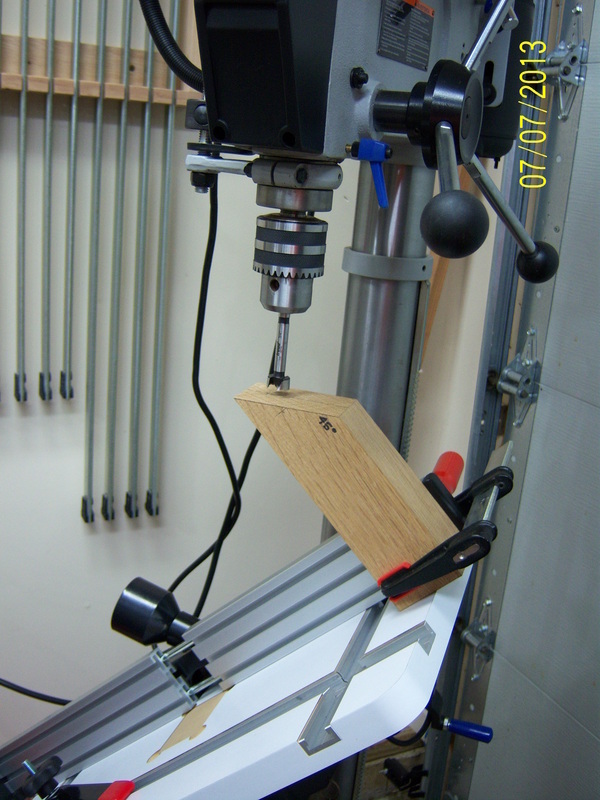 Tilting the drill press table to 45-degrees allowed the holes to be drilled straight into the 45-degree angle of the rear side of the mouth/throat. 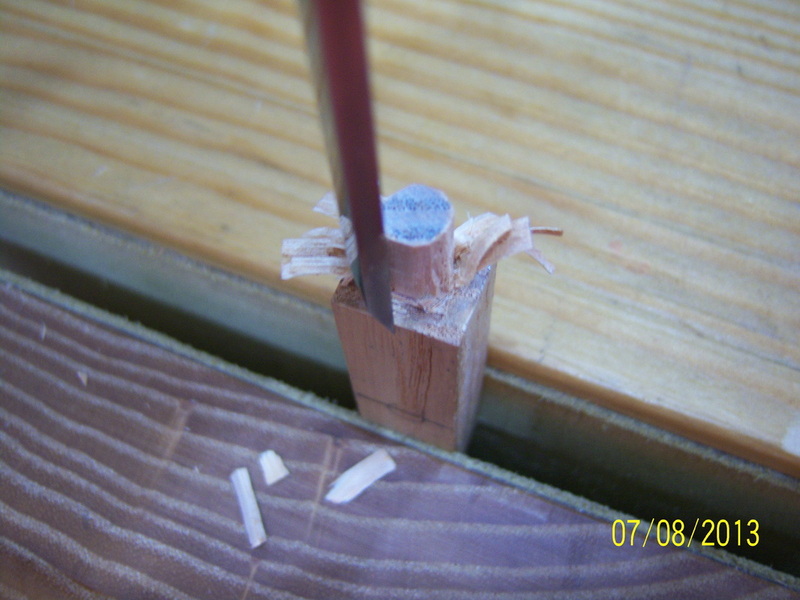 The forstner bit does a good job of removing the bulk of the waste, but some additional chisel work will be needed. 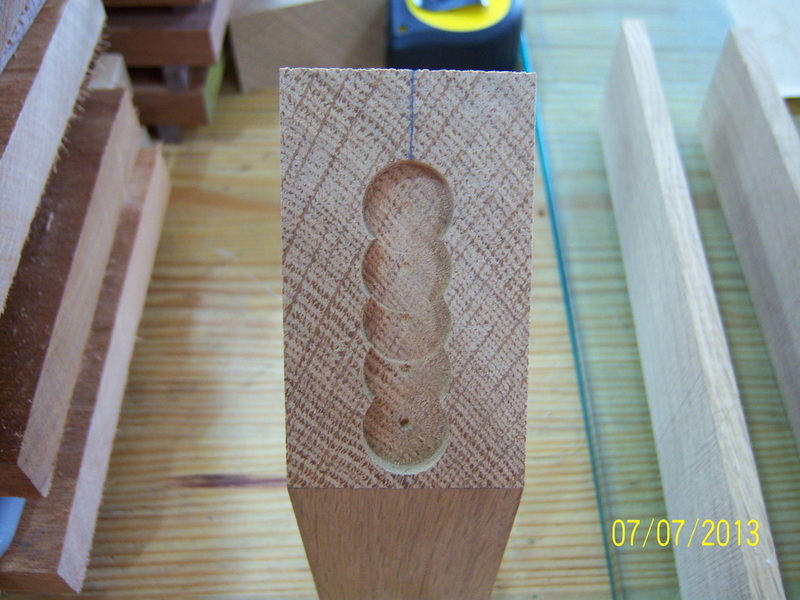 I used a marking gauge to cut a straight line on both sides of the scalloped holes left by the forstner bit. 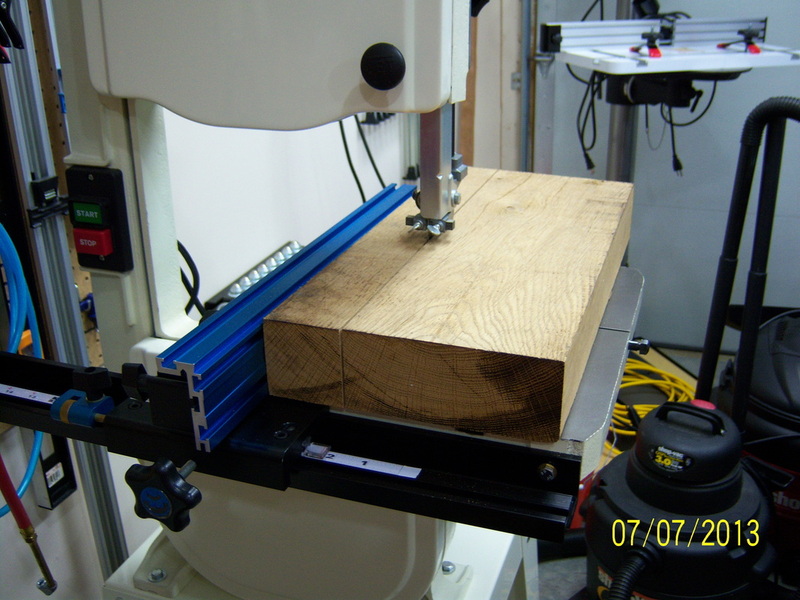 The cuts will aid in chiseling a straight line. 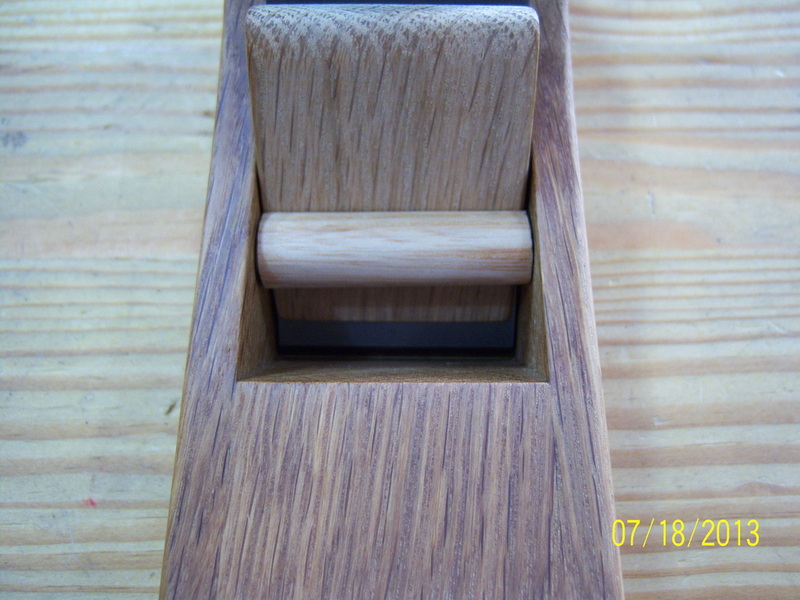 Using a router plane, I cleaned up the bottom of the recess to a uniform depth. 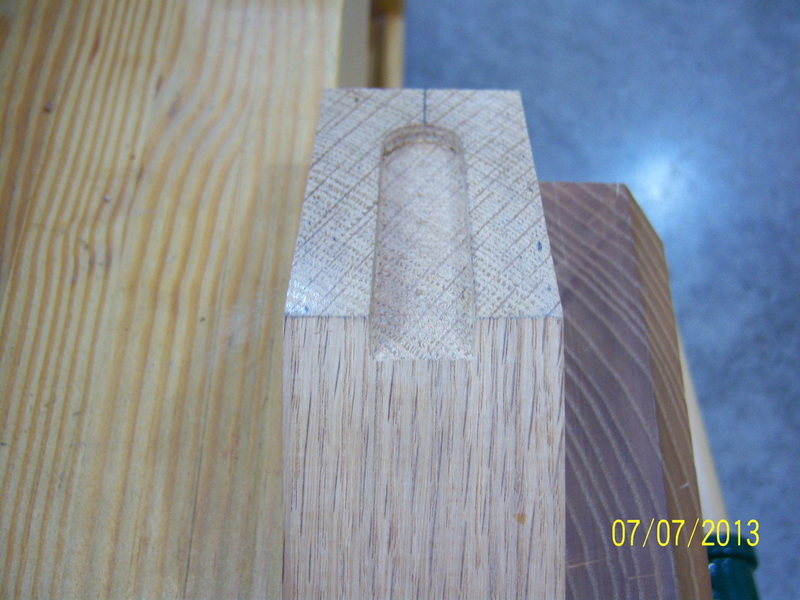 You can see how the edge of the block that forms the mouth is a bit rough from being cut on the band saw. This was smoothed and squared with a couple passes of a file. 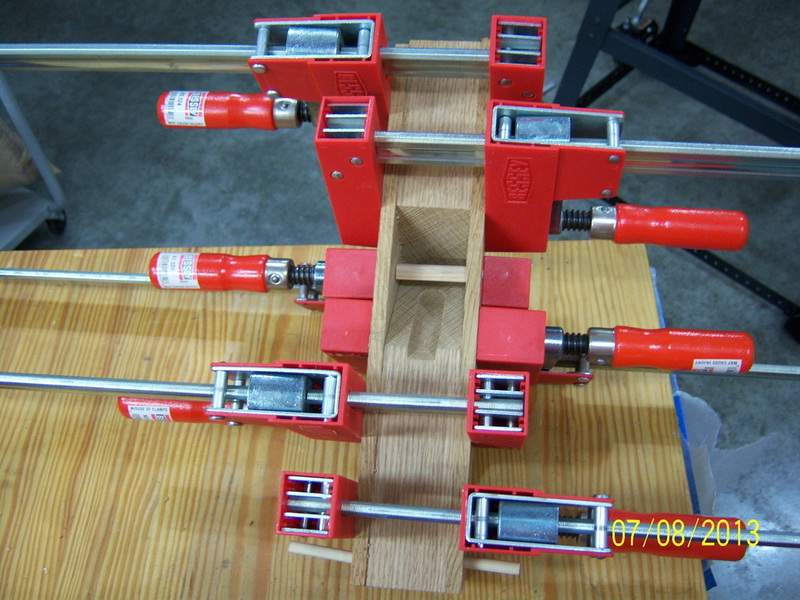 In order to install the cross pin, a few lines and some measuring had to take place to determine the cross pin's location. 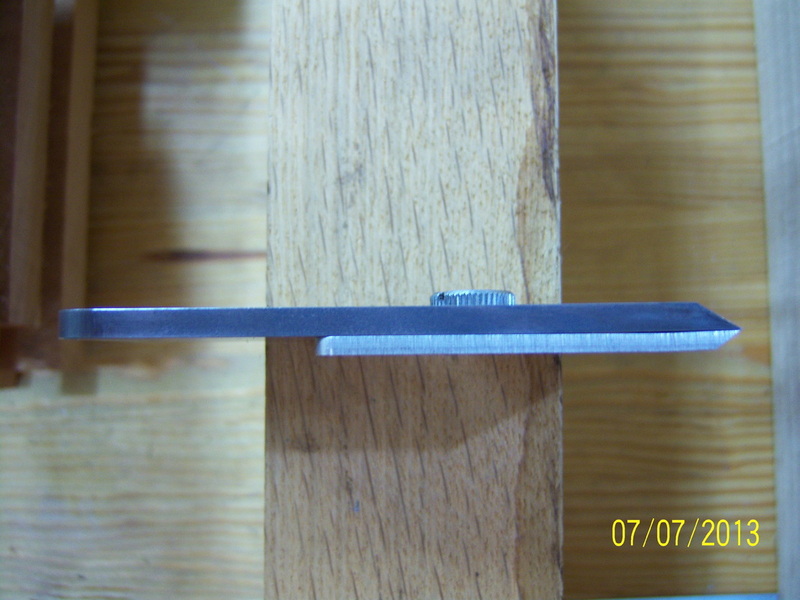 A line was drawn along the 45-degree bed angle, another line was drawn after the blade was held in place, then a third line was drawn 7/16" above the blade line. 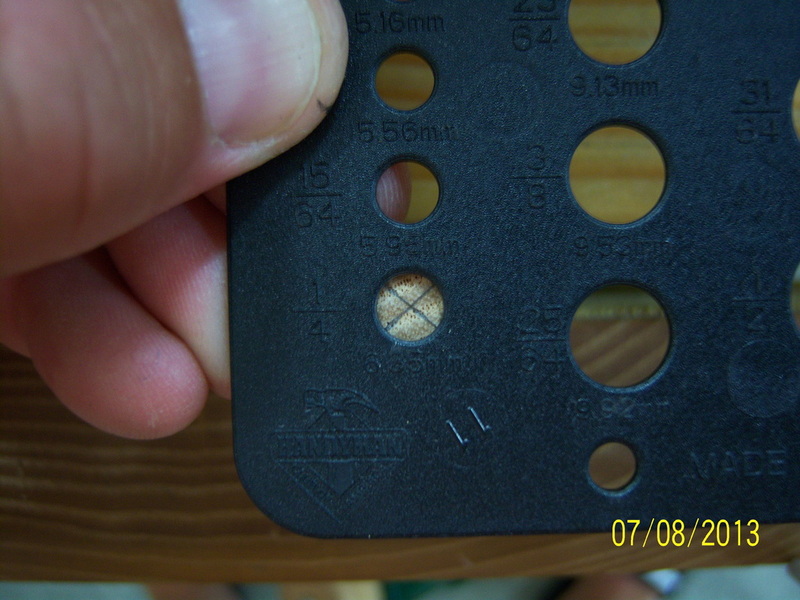 An intersecting line approximately 1 1/4" from the sole to the third drawn line was where the cross pin was located. 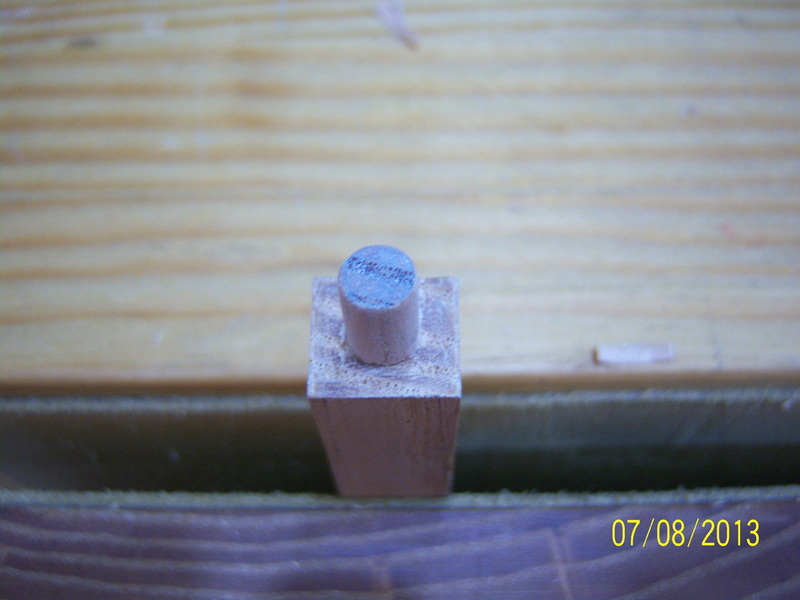 For the cross pin, I used a piece of ash that was cut 3/4" square and was approximately 2 1/2" long. 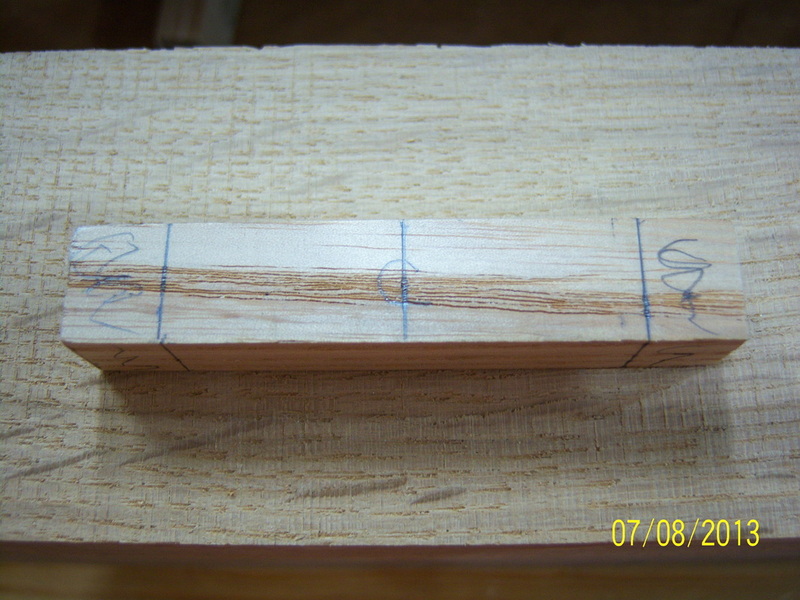 The center of the pin was located and two lines were drawn on the ends, 2 1/16" apart, to define the 1/4" tenons that will hold the cross pin in place. 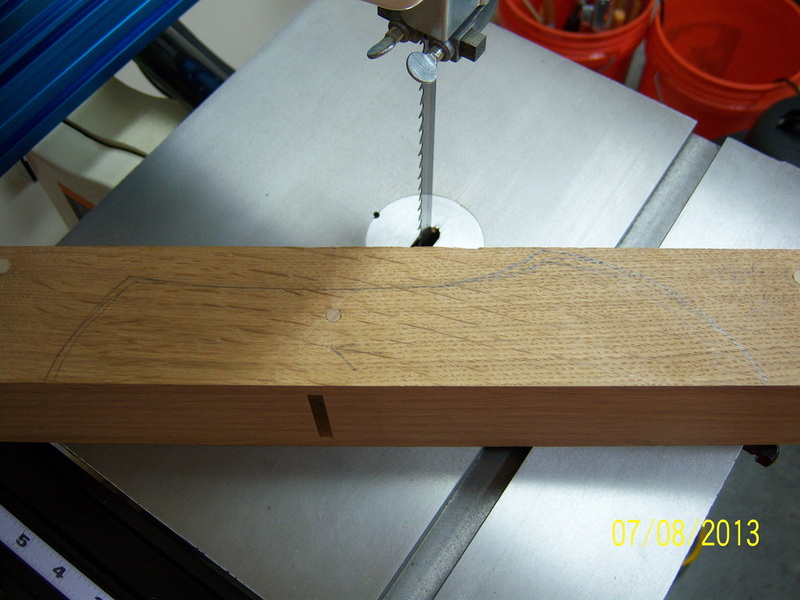 Drawing a line from one corner to the next determined the center of the cross pin. 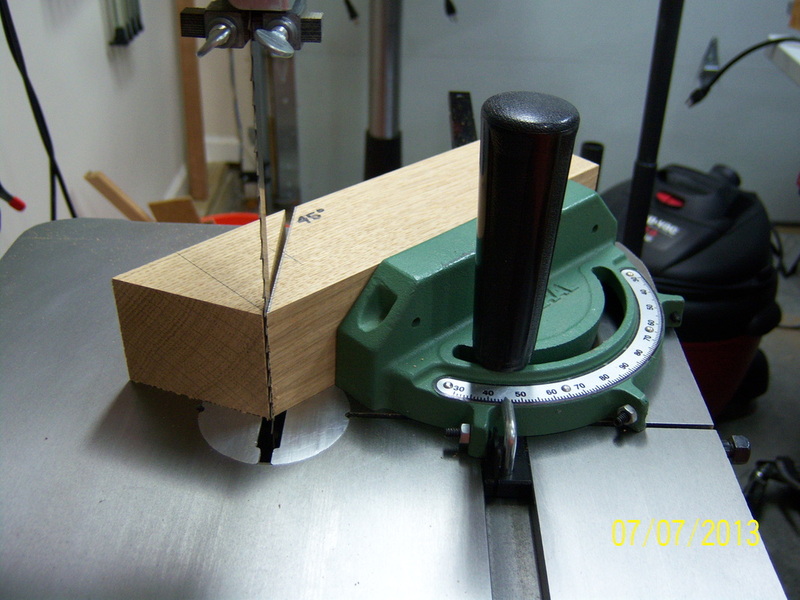 I then used one of those plastic diameter gauges to draw a 1/4" round circle for the tenon's shape. 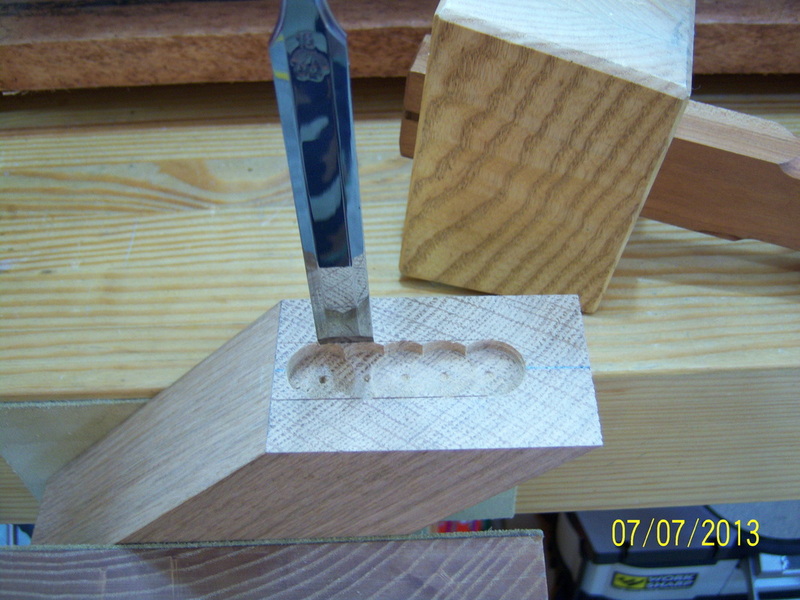 Using a chisel, I cut the waste away in an effort to leave as round of a tenon as possible. 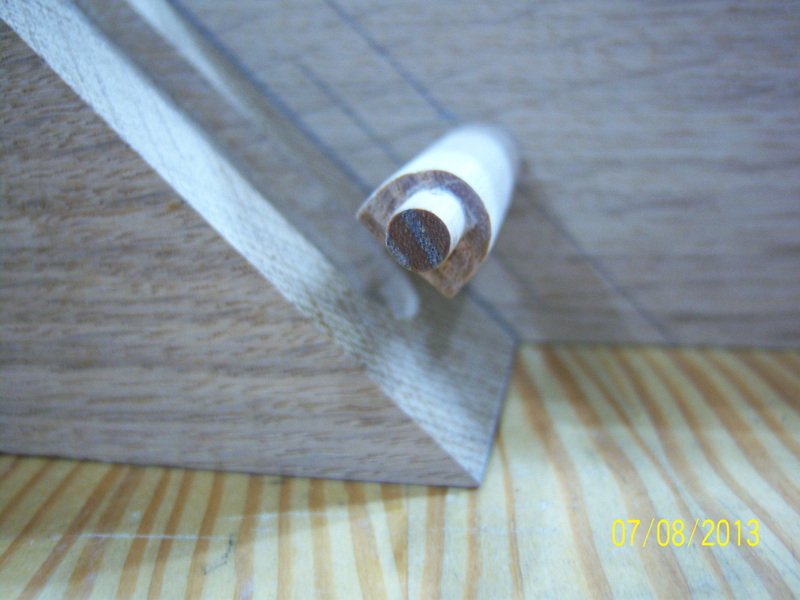 I again used the plastic gauge to check the final diameter of the tenon. 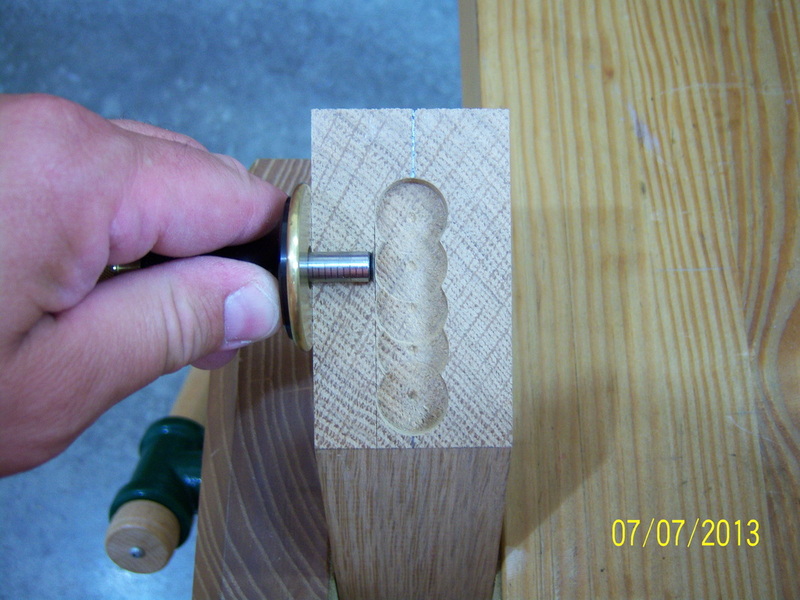 The round tenon will allow the cross pin to move as needed when the wedge is tapped in place. 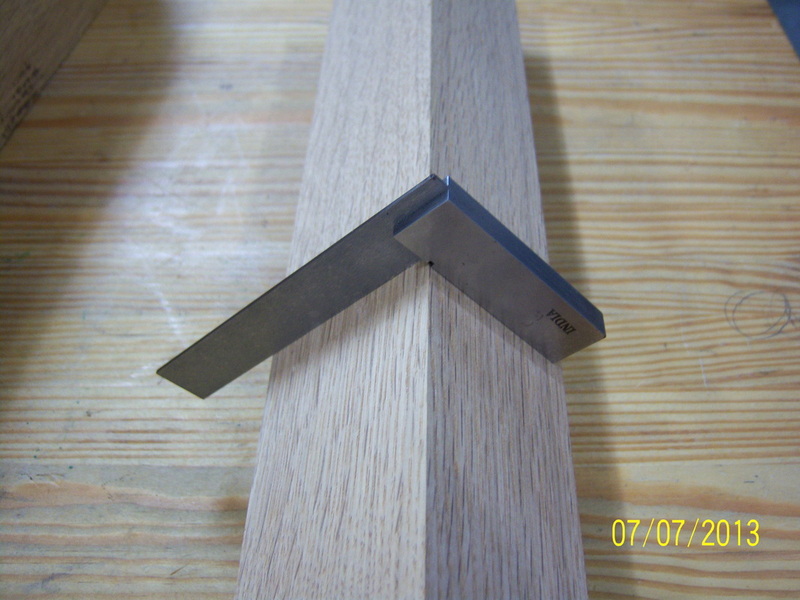 After the tenons were cut, I secured the cross pin in a hand screw clamp and used a block plane to begin to round over all but one of the flat surfaces. 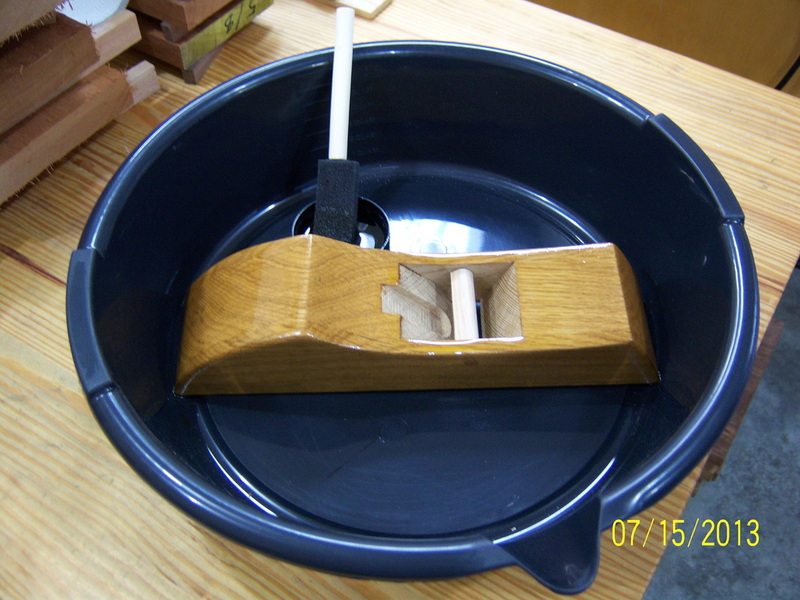 The remaining flat surface will come into contact with the wedge, which will hold the blade in place. 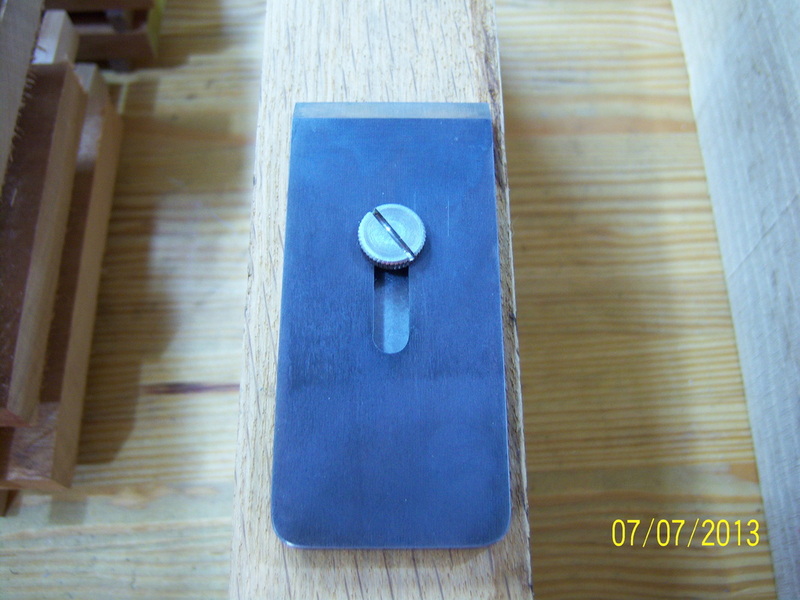 With the cross pin completed, you can better see the layout lines and how the pin will function. Rounding over the cross pin is not necessary for it to work properly, but does look a bit more refined. It also allows more room to remove shavings. With all of the components of the plane completed, it is time to glue and assemble. 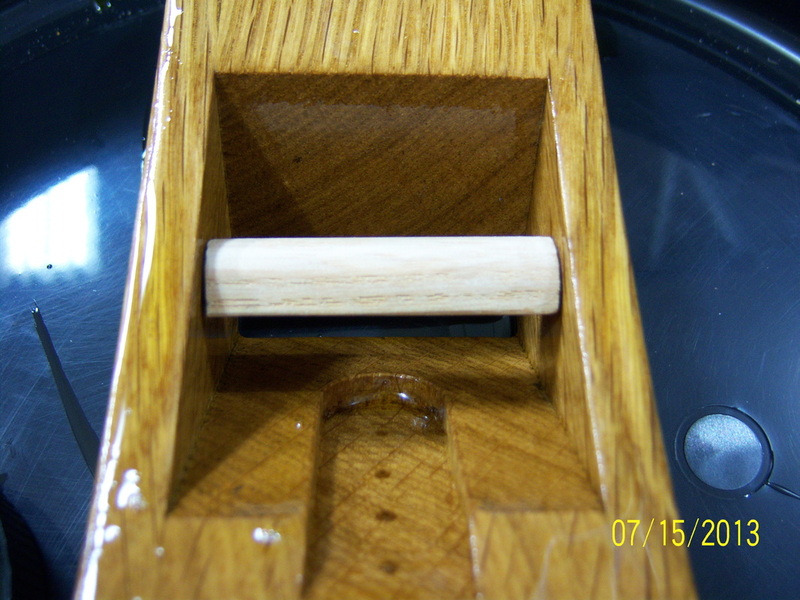 You can see how the previously installed dowels assisted in making sure the parts went back together in a repeatable manner during the construction and fitting of the cross pin. 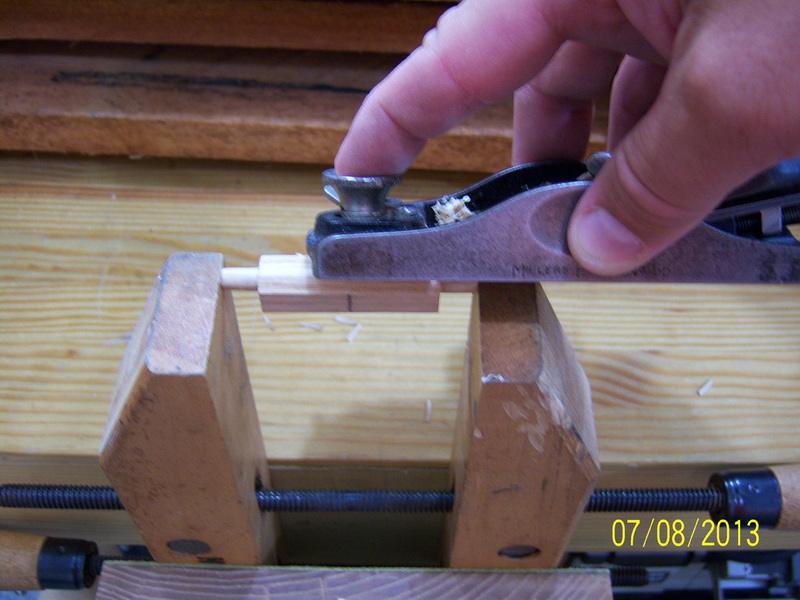 All mating surfaces with the exception of the cross pin tenons were glued prior to clamping. 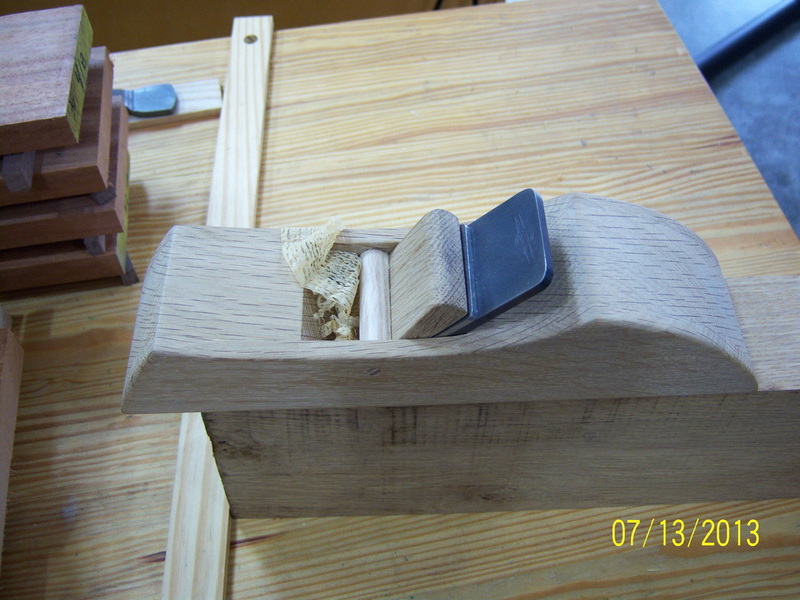 Using a #7 jointing plane, I took a few light shavings off of the sole of the wooden plane to make sure it was as flat as possible. 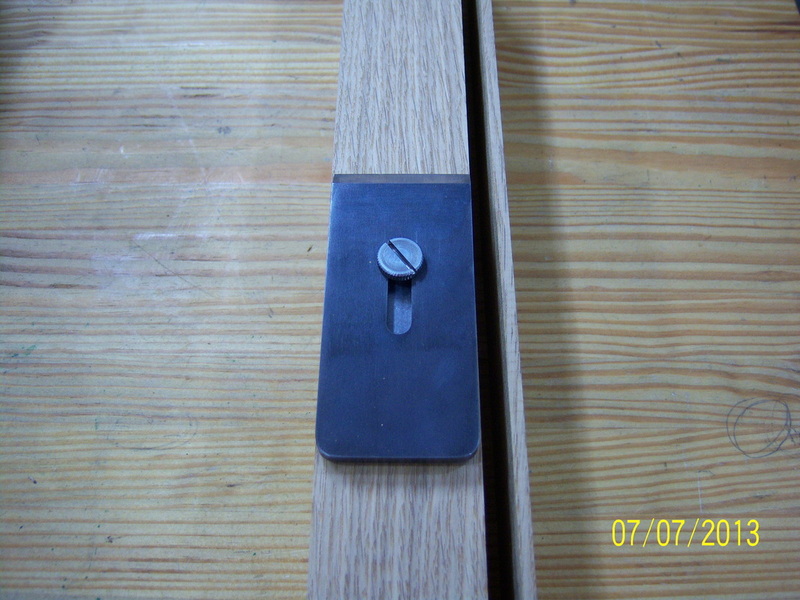 Final flattening was done , after the blade was installed and tensioned, on a large piece of glass with a sheet of sandpaper. After the plane was completed, I spent some time with the blade. You can see how thick these Ron Hock blades actually are. 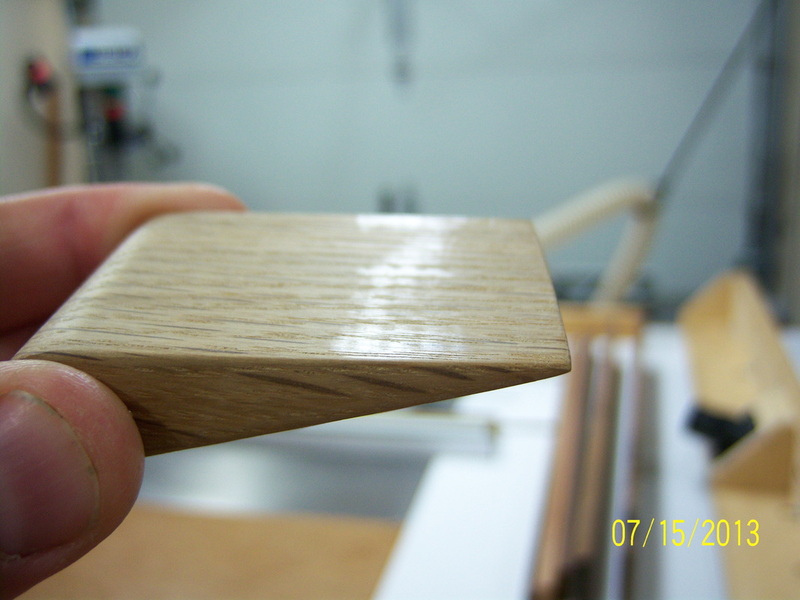 The are 3/16" thick and are beveled at 30-degrees. You can see from the reflection of the writing on my T-shirt that the blade hones very well. This blade is absolutely sharp! 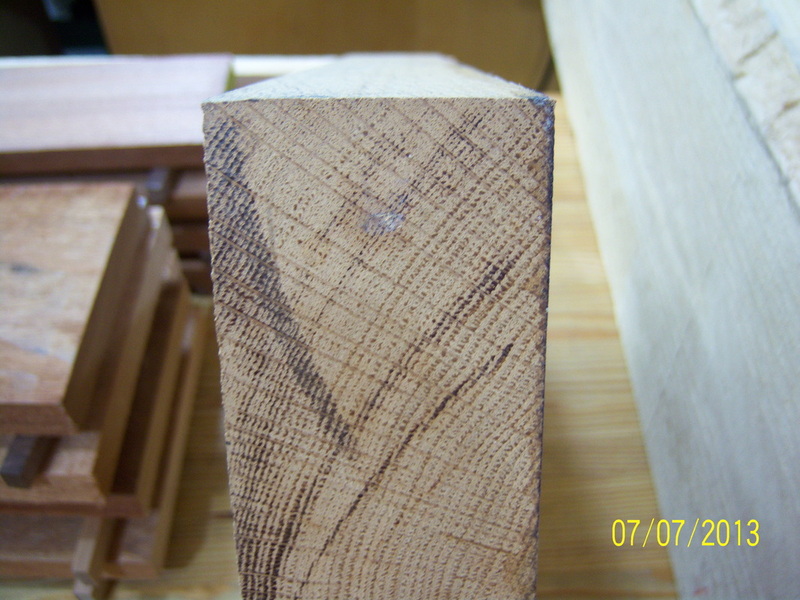 The wedge was cut from the larger wedge of material that was removed from the block when the mouth/throat angles were cut. This wedge was cut at 10-degrees and is as wide as the blade. You can see from the polishing marks that the wedge is engaging the cross pin across all of it's surface. 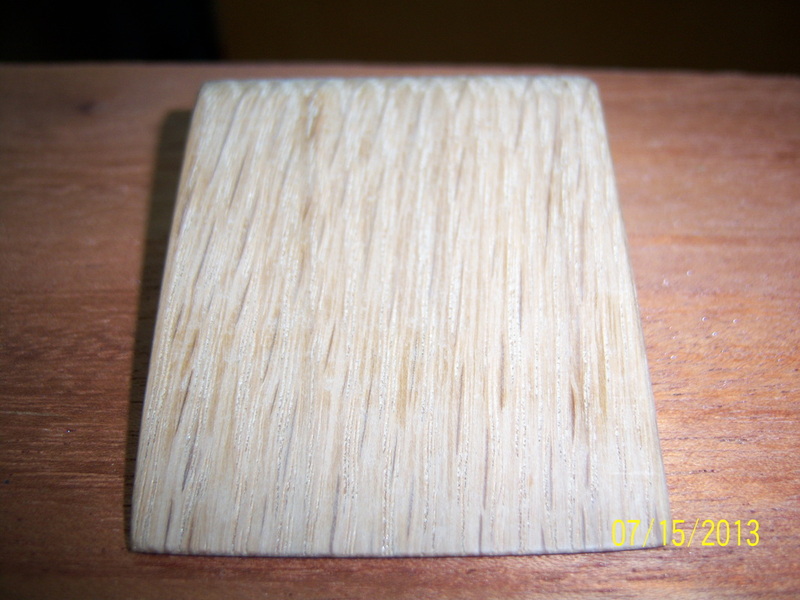 After some final sanding and flattening of the sole, I took a few test shavings. 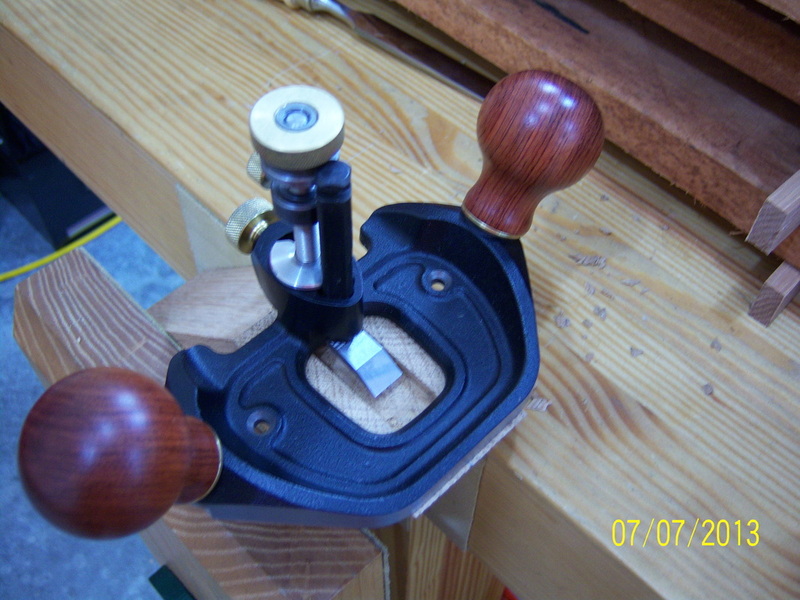 I was very impressed with how well this plane worked after a small learning curve for setting the blade. 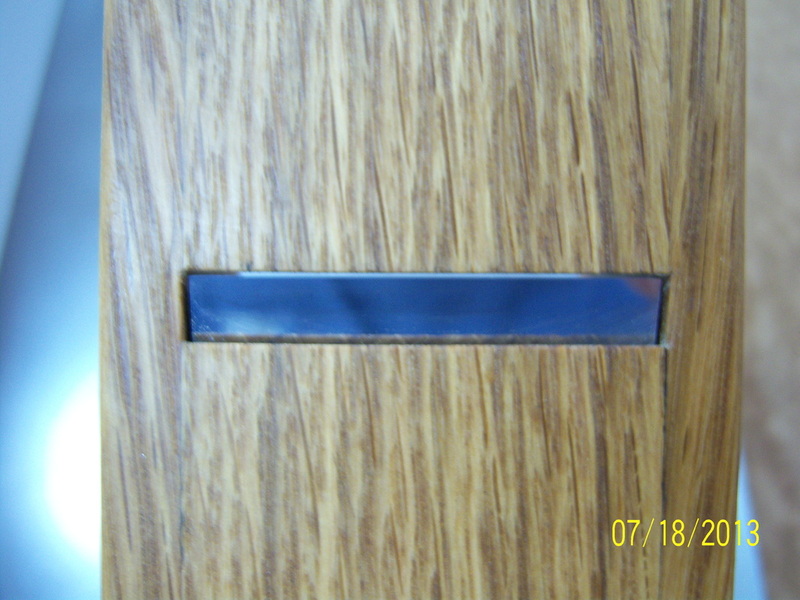 Boiled linseed oil was used for the finish. I covered all of the surfaces except for the cross pin and the wedge. This was done to ensure that there would be no future gripping issues when the wedge was tapped into place and was under pressure. After using the plane for a while, I just did not like how it felt. It was uncomfortable to use and was too long. 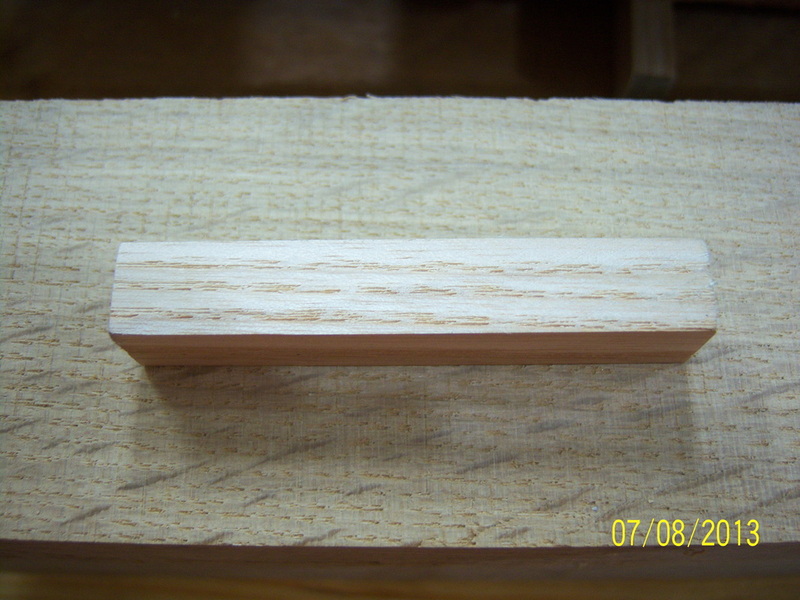 A smoothing plane should follow the wood being planed and not be so long as to bridge over low spots. 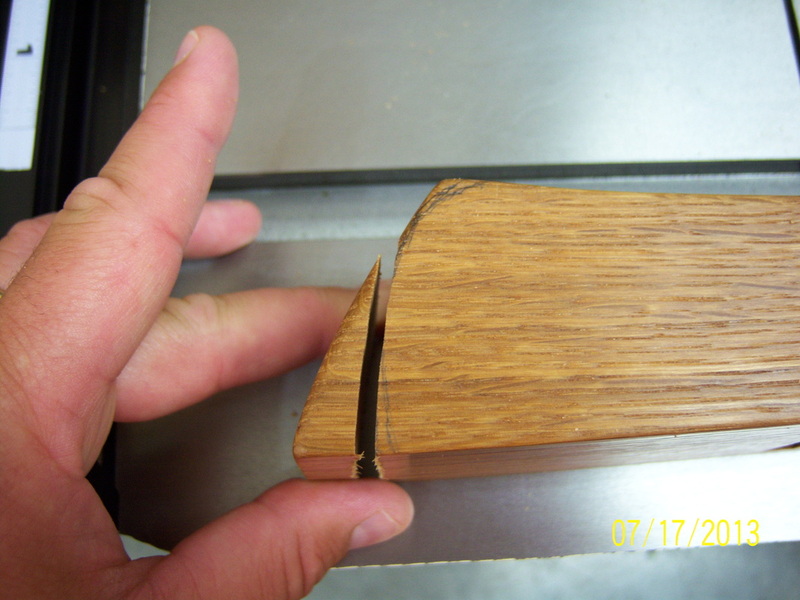 How low - when this plane takes shavings of .002", unperceivable dips can cause the plane to stop cutting. 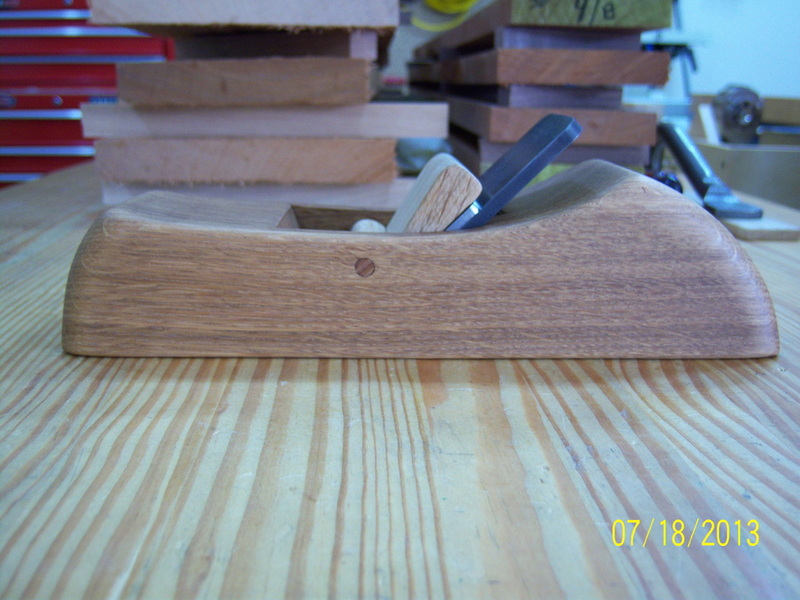 I cut over an 1" off of the heel of the plane and about 1/2" off of the toe. 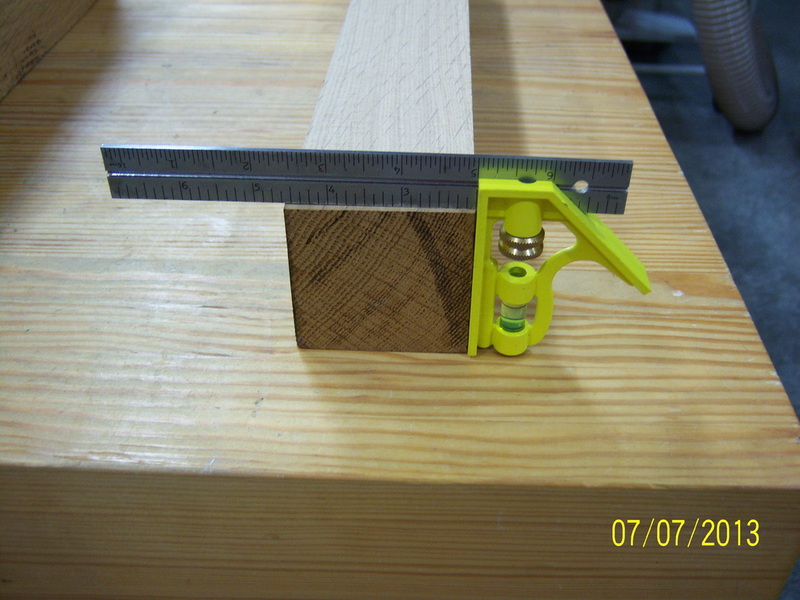 This reduced the overall length of the plane to approximately 9 1/2". I also re-contoured the shape a bit to make it more comfortable to use. These changes made a big improvement in how the plane felt in my hands. 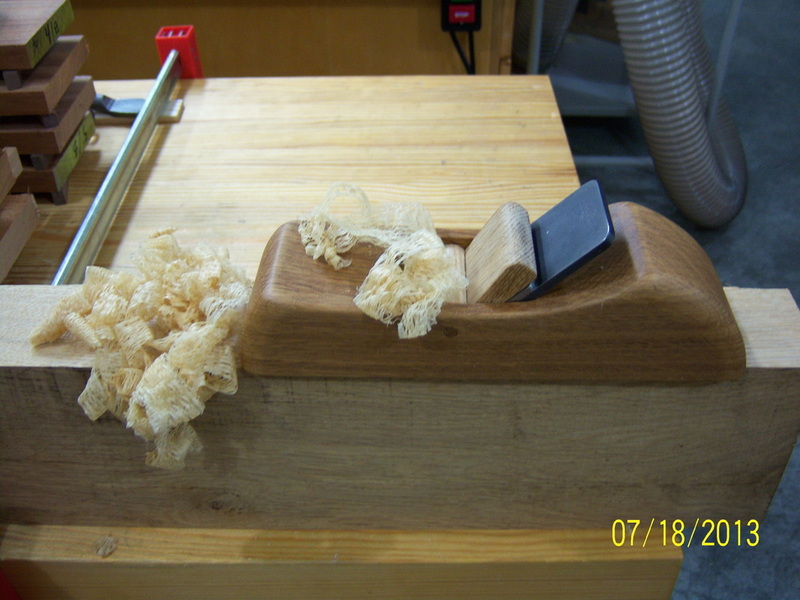 Here is the final product - a wooden smoothing plane that is comfortable to use and is short enough to do a good job of smoothing. 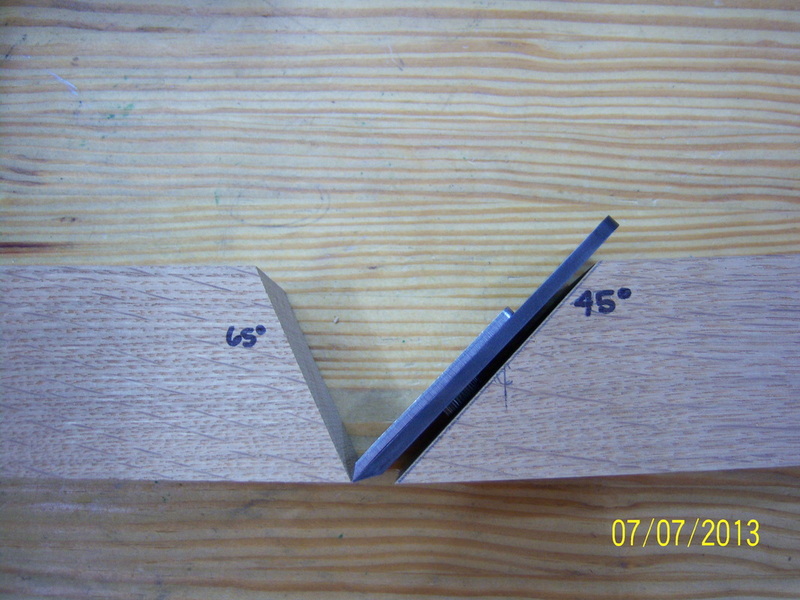 Final thoughts: The next time I build a wooden plane I will use a 3 1/2" long blade instead of the 4 1/2". Not that it makes a lot of difference, but the shorter blade will allow for different hand placement positions. All in all, I am quite pleased with how this plane turned out.